I’m part of the millennium generation, or the iPad generation, so social media is a large part of my life. And (as sad as it is to say) it’s hard to imagine life without it. But I’m also a keen equestrian and, as many will tell you, my social media pages are filled with endless pictures and updates of my horses (occasionally the dog). It’s somewhat of an addiction. I’m not alone though, the majority of the equine community is cramming social media with pictures of their four-legged friends. So how is anyone and their horse meant to get noticed in such a vast crowd!? There are plenty of people out there telling you how to take the perfect horsey photo or what to do to get more followers etc. But if we’re all following the same advice surely that’d mean we’re all social media equestrian super stars? From my modest following… it would seem not. There is some research behind this. When I stop and think about what I use social media for, it’s very much to talk about myself and, as I said before, my horses. This make me a Meformer. Or in other words a user who posts social media updates mostly relating to themselves. Research from Rutgers University found that 80% of those on social media are Meformers, whereas only 20% of us are Informers. Also from this research, Informers have twice as many followers as Meformers. My own experience supports this statistic – I follow a lot more Informers than Meformers. I love to see the latest offers and new equine product releases, along with the latest equine news. I also love finding out all about what my equestrian heroes and their horses have been up to recently. For me, equestrian Informers are much more appealing to follow than the likes of me (and my posts about what my horse had for breakfast this morning). 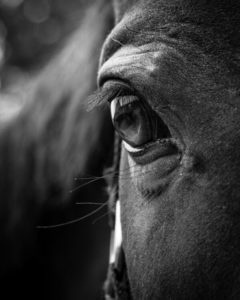 Instinctively, it would seem that posting as an Informer is a lot easier for equine businesses/ organisations or those that are equestrian professionals. After all, they are leaders of the equine community. So, for the likes of little old me, what should I share? What topics or subjects would people find interesting? That’s where a strategy helps. Creating a subject that may interest people and planning on how to keep them interested. There are many blogs I follow about amateur rider experiences, along with many Instagram accounts updating me on the latest activities of adorable little ponies. These aren’t leaders of the equine community, but they still grab my interest, due to their informative and relatable posts. These social media accounts also capture my interest because they are written about the subjects I’m interested in; horses. Attracting the right audience is crucial. My friends/ followers on my social media accounts are a varied bunch when it comes to their interests. Most of them are interested in horses, others not so much. Unfortunately, those that aren’t horsey are subject to my endless postings of pony pictures and they’re just not interest and so very politely ignore me. what you’re informing them about to attract the right audience! Overall there is no guarantee you or I will become an equestrian social media superstar overnight but making our social media accounts more relevant will certainly help increase following. For now, I’ll continue to post, what I consider to be, adorable photos of horse for all to admire (or not).